Disclosure: This post is sponsored by Skyroam. I am receiving complimentary Solis & wifi passes in exchange for my honest review. 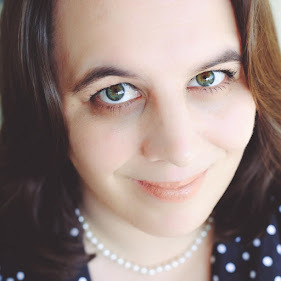 Have you ever been somewhere needing to connect to the Internet but your personal data plan is limited? Or maybe you are like me and you don't have a smart phone but you have another wifi enabled devise like an iPad that you need access to wifi? Look no further I have a solution for you, the Skyroam Solis. 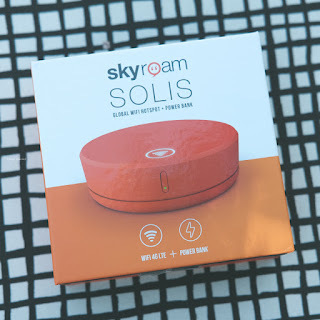 The Skyroam Solis is a portable wifi hotspot that you can connect unto 5 gadgets and it works in over 100 countries without the use of a SIM cards. 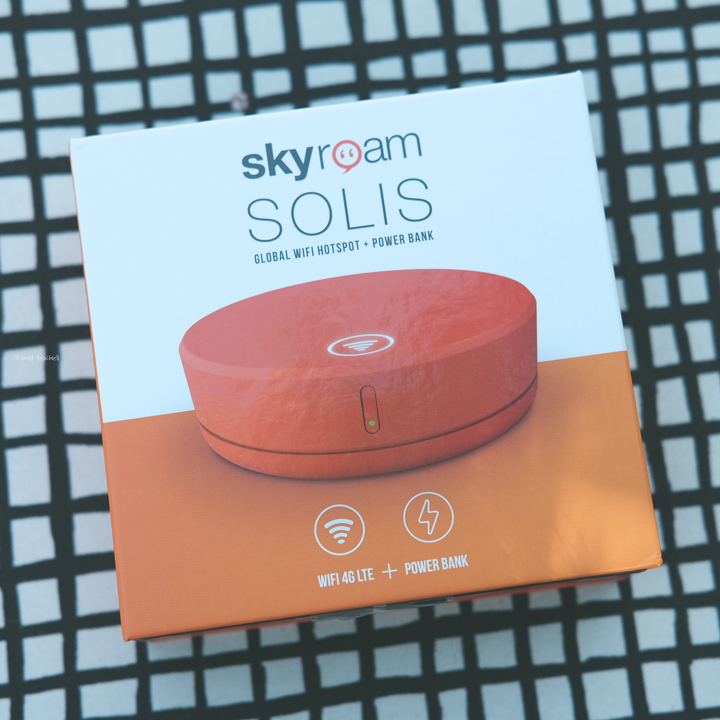 After purchasing your Skyroam Solis you then purchase a daily pass that gives you 24 hrs of unlimited global wifi 4G LTE. The best part of the Solis is that it is also a portable charger via USB adapter. 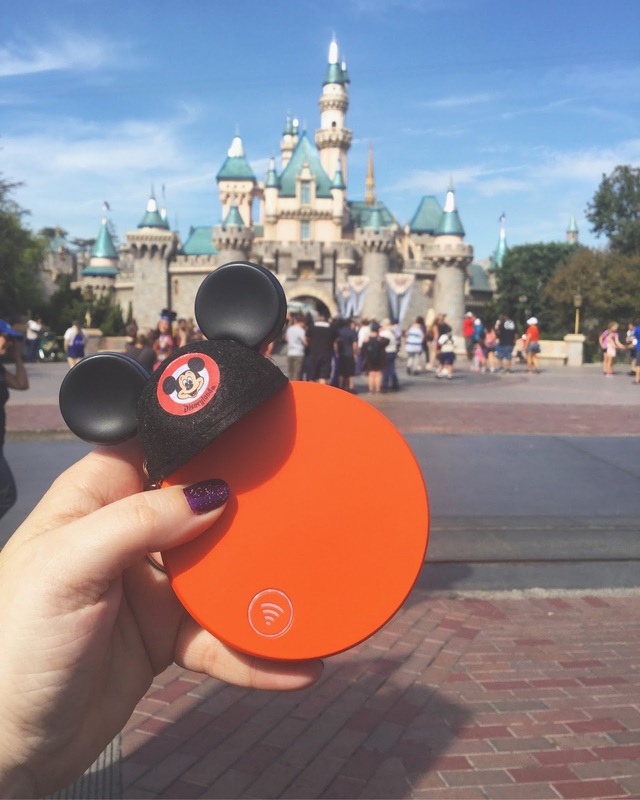 I recently partnered with Skyroam on my latest trip to Disneyland in California. At the airport I had no problems starting my day pass which was very simple; after you turn it on just tap the wifi symbol and you are ready to go (I registered the devise and set up my account prior to my trip). My tip for you is to only press that Wifi button when you are ready, otherwise it will start a day pass this happened to me I pushed the button before my trip on accident and started a day pass when I didn't need it yet, whoops. To turn the Solis wifi on or off just use the power button. 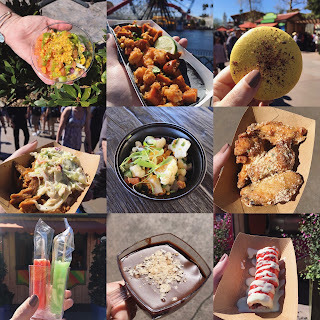 If you didn't know Disneyland is moving towards ticketless fast passes for their rides. Disneyland has an app which you can check the wait times of rides, scan your park tickets for faster entry, obtain fast passes for rides and make reservations for dining. Disneyland has just recently started to offer free wifi in certain areas of the park but with all the guests visiting it is not reliable to gain access. This is where the Skyroam Solis saves the day. On my trip I had the Skyroam Solis in my purse, it is so lightweight and compact in size I hardly noticed a difference in my bag. I had no troubles getting connection at Disneyland on my iPod touch to check the Disneyland app. The signal was even strong enough I was able to use my Solis wifi to connect to my social media to share about my day with my friends and family while I was waiting in line for the next ride. I was even able to share a Live video on Instagram of the Disneyland Band preform in front of the Sleeping Beauty Castle. I had the Skyroam Solis turned on for most of the day. 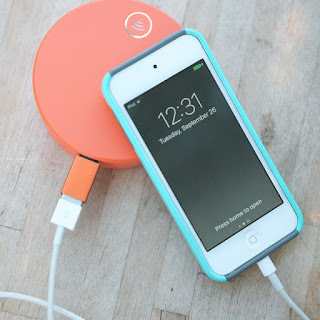 When my iPod battery got low I plugged it into the Solis power bank via the USB adapter and it charged it very quickly. One thing I loved about the Solis is you can check the battery level of the Solis and your account information at anytime using this site. There was one point of the day I noticed the Solis was getting warm so I just took it out of my purse to give it some air. Since this was my first time using the Solis I was worried about the battery life after using it for a 12 hour day and charging my iPod twice with the power bank, but at the end of my day I still had 62% battery life left in the Skyroam Solis. Overall I am extremely impressed with the Skyroam Solis. It is easy to use, but if you get stuck Skyroam has a help guide and FAQ that I highly suggest reading before your first use. I love how lightweight and compact the Solis is making it very easy to travel with. Lastly, being able to quickly recharge your gadgets via the USB adapter port is a bonus and certainly saves the day when your batteries run out. I would highly suggest the Skyroam Solis to those of you who travel and need wifi access but have a limited data or no data plan on your own personal smart devise. 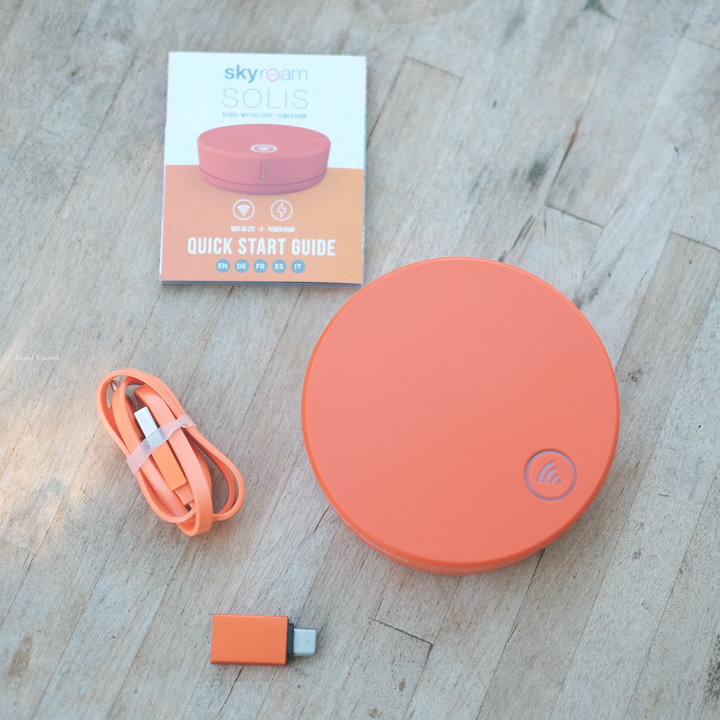 If you would like to read about the time I rented from Skyroam you can find that information here. If you are interested in purchasing a Skyroam Solis or even renting a hotspot with Skyroam please use my affiliate link. It will actually save you money when you use my link and I will also receive free day passes to use on future trips.